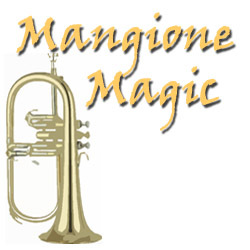 The Mangione Magic Marching Band Show starts out with a powerful fanfare of Feel So Good that leads to a driving arrangement of Children of Sanchez. Land of Make Believe starts slowly with brief trumpet and alto sax solos, then kicks into high gear with a great full band shout section. Echano provides a great feature for your percussion section. The closer, El Gato Triste, brings a nice mellow finish with a high impact tag of the Land of Make Believe to finish the show.